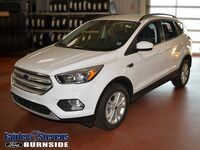 Pursue your passions when you get behind the wheel of the 2019 Ford Escape! This great SUV is adventurous, confident, and powerful, allowing you to tackle the world by storm no matter what terrain you might encounter! However, how does this great SUV compare to the packed SUV market? 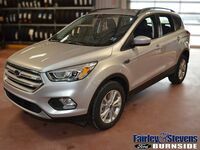 There are a ton of excellent competitors for the new Ford Escape to compete against, including the new 2019 Nissan Rogue, and picking the best deal can be difficult. Thankfully, when it comes to comparing SUVs and their various features and systems, we at Fairley & Stevens Ford know a thing or two! We’ll be taking that knowledge and putting it to work for you today, comparing these two vehicles head-to-head to find the best deal! Continue reading to learn more below! The new 2019 Ford Escape is a vehicle that has a ton to offer you, as you can see from the table above. This is true even when compared to the competition, as it beats the 2019 Nissan Rogue out of the water, even right out the gate! 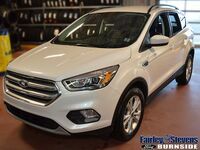 The new Ford Escape is cheaper, having a lower starting MSRP, and features overall better safety systems and features, with a higher safety rating from the NHTSA! 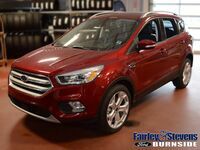 Additionally, the new 2019 Ford Escape also features many powerful engines, with the chief among them being the available 2.0-liter EcoBoost® twin-scroll turbocharged engine, which delivers 245 horsepower and 275 lb-ft of torque in total! 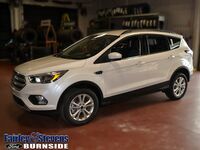 Overall, with great power, safety, and a lower starting point for price, the new 2019 Ford Escape is the better deal between these two SUVs! 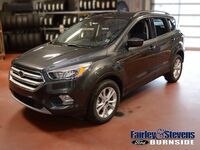 To learn more about this great SUV and what it has to offer, or what other vehicles are in the modern Ford lineup, contact us at Fairley & Stevens Ford today!